". 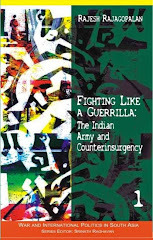 . . sections of the Indian establishment have deliberately sought to create some political distance between Delhi and Washington and sell discredited ideas from the Cold War past as great strategic insights. Singh nearly bought the crazy proposition that a bird in the hand was worth a lot less than two in the bush. The belief in Delhi that going slow with America might convince China to offer India a boundary deal now stands discredited, thanks to the Chinese military intrusion into Ladakh during April-May.Singh must rely on common sense rather than the overly clever theories that have derailed India's diplomacy in the second tenure of the UPA." "But our strength is surely the best hope of preventing any eruptions, and some states see their interests served by a strong India, and are willing to help us become so. Nobody does such things for ‘friendship,’ much less because we are so great or good that they ought to help — as, unfortunately, too many of us fondly imagine. Mutual benefit, so entrenched in our Panchsheel, means mutual trade-offs." "That conversation between Singh and Kerry turned the tide for the nuclear deal. 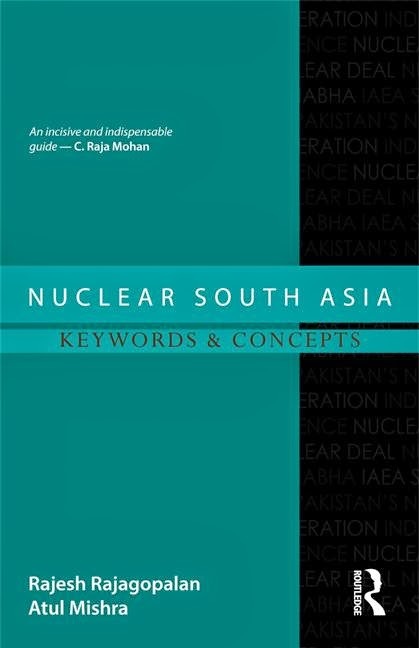 Between September 2007, when Congress party president Sonia Gandhi urged the PM to place the nuclear deal in cold storage rather than risk losing the support of the Left Front, and February 2008, the negotiations with the US were moving on a treadmill. All motion but no movement forward. Kerry set the PM thinking. It was then decided that a public debate would be re-ignited to enable the PM to revive the project. The first shot was fired by Subrahmanyam. He wrote a column that India Abroad News Service (IANS) put out on March 16, 2008, titled, "Will the n-deal finally go ahead?" This column revived the public debate and forced the pace of events within government, resulting finally in the completion of the deal and the approval of the Nuclear Suppliers Group (NSG), literally days before the end of Bush's term." Tanvi Madan of Brookings also has an nice essay in the Indian Express on looking towards the future and not letting current troubles come in the way of better long-term ties. Indrani Bagchi also calls for looking for a 'next big thing' in US-India ties. "While it is tempting to see a certain degree of strategic congruence between the two countries here, the reality is more complex. If the rise of China has the potential to destabilise the region, so does the Obama administration’s ‘Asia pivot’. Rather than divisiveness and containment, Asia needs a strategic architecture that is inclusive and open. Mr. Kerry should not be left in any doubt about the fact that this is what is best for India."